Highlights a job or internship of the week. Youll get hands-on experience right where the action is – learning retail sales, customer service and merchandise-related skills. This 10-week assignment is designed to give you a feel for the retail industry and the culture within a Kmart or Sears location while gaining the experience learning the Assistant Store Manager role. This opportunity is a stepping stone leading into a full-time position in our Retail Leadership Development Program upon your graduation. Our management interns spend their time working in one of our Kmart or Sears retail stores, seeing first-hand what goes into a successful retail business. The internship program is divided into several phases, each lasting from a few days to a few weeks. Youll work directly with an Assistant Store Coach, developing merchandising and leadership skills. Youll rotate through various store functions including receiving, replenishment, loss prevention, in-store support and human resources. 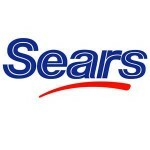 This rotation allows you to gain a broad view of the retail industry, all while having an impact on the successful operation and management of a Kmart or Sears store. Your training will include formal and informal evaluations. Youll be assigned several challenging projects which will allow you to apply what youve learned in the classroom to a business setting. 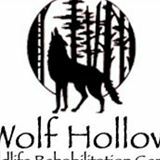 Internships at Wolf Hollow provide the opportunity to gain hands-on working experience of Wildlife Rehabilitation. Interns learn diets, feeding and handling techniques for a range of injured and orphaned wildlife, with the aim of releasing them back into the wild. Visit out web site at www.wolfhollowwildlife.org for further information. For more information on how to apply, check out the posting on Beaver JobNet. – As a secondary effort, develop and implement strategies for reaching influencers and reviewers that reach both the user (kids ages 5 to 14) and their parents. In addition to an hourly salary, the individual will be eligible for discretionary yearly bonuses based on consistent and high quality performance. We are looking for two long term, part-time individuals that are interested in growing with the company and potentially joining Nextsport in Emeryville California on a full-time basis upon graduation from college. The position will be performed on a remote basis. Location is not important effective expansion of our brand through effective, efficient and smart social media is what is required of the candidate. If you feel that your experience, skill set and above all passion is a perfect match for this part-time position, please forward a detailed cover letter (in addition to your resume) outlining why you are the perfect candidate. We currently have full-time and internship opportunities within our company for Civil Engineers. These opportunities are available within many of our divisions and could encompass many emphases. Assignments are in conjunction with engineering, procurement, planning, designing, and construction of: bridges, dams, military bases, tunnels, water and wastewater facilities, hazardous waste facilities, power plants, hydro-electric power, telecommunication systems, and commercial and industrial facilities. InternsLink Recruiting Ltd., (“ISL or ISL Recruiting”) is a specialist organization dedicated to arranging internship and work placement opportunities for international students and graduates by matching their internship interests and career goals with those of the hosts and finding them the best internships in both international and Chinese companies and organizations in China. It is our belief that learning in a hands-on environment while living in a foreign country will encourage a broader understanding of the world, the individual and the international businesses. 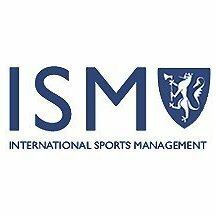 We pride ourselves in our personal and professional demeanor and treat each participant as an individual and take into consideration his/her background, experience and career goals when searching for the optimal placement. We fully understand the investment of time and resources participants provide for an overseas internship. As such, ISL Recruiting strives to provide the maximum return on that investment in terms of both personal and professional growth via affordable and pre-professional internships. One behalf of one of our program partnering companies, who is a leading display, exhibition, and products design company headquartered in Guangzhou with a work force of over 600 employees, we are seeking 2 qualified candidates for the Design Internship positions for their Guangzhou Design Center. 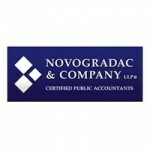 Novogradac & Company LLP is a rapidly growing national certified public accounting firm headquartered in San Francisco, CA with 15 offices nationwide. The firm maintains clients in a broad range of industries with a major emphasis in the real estate sector, providing publicly and privately held national and multinational enterprises with a full spectrum of audit, tax, valuation, trust and litigation support and general consulting services. Novogradac & Company LLP is hiring Staff Accountants to join the firm in January 2014. We are seeking entry level applicants with sufficient accounting courses to sit for the certified public accounting exam. Applicants must have a GPA of 3.20 or higher. We maintain the strictest confidentiality with all applicants.